Link Building Strategies for SEO: How to Get Backlinks! 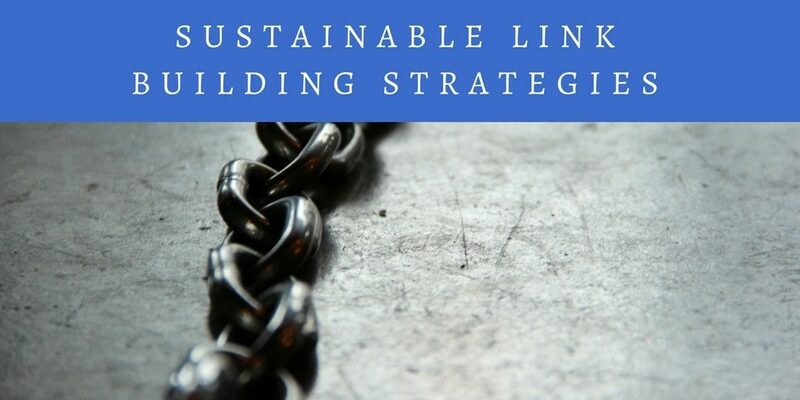 Finding the right set of link building strategies and acquiring backlinks to your website can be difficult, time-consuming and often intimidating. In fact, it can be heartbreaking! You pay (or DIY) to design your website, spend hours writing content and then submit your website to search engines. One week later, you realize that you’ve got no traffic except for spam bots and you rank 50+ in the search results. You learn very quickly that if you’re not on page #1 for your target keyword, you get almost no clicks. It’s not a good start but you still press on! Only to later learn that a lot of it is outdated information. At that moment, the process of building links quickly becomes a nightmare. This publication is your blueprint for building high-quality backlinks to your website. SEO is a marketing process that affects the visibility of a web page in search engine results pages. It is part of the Inbound Marketing family of strategies. It is often referred to as “organic” search results, meaning unpaid or free traffic. It comprises of creative and technical elements that are required to drive traffic, as well as improve overall website ranking on various search engines. In other words, SEO is simply making sure that search engines can interpret and understand your content, including any off-page signals. There are over 200+ search ranking factors and arguably the most important one is external links. The way other websites link to your web pages and how you link out to other websites matter. Commercial web giants like Google, Yahoo and Bing drive the majority of web traffic that flows! Even though other platforms like social media can generate traffic to your website, search engines remain the primary method used to find information by many Internet users. Search engines are unique because they provide targeted traffic. This means that they’ll only display results that fit your description or search query. You can think of them as the main roadways of the Internet, much like a major highway that leads to potential destinations. Essentially, when search engines don’t include your website in their database, you’ll miss out on opportunities to drive traffic to your website. If no one can find your content and interact with it, then you don’t have a good web presence. This can mean no business for many entrepreneurs. Optimizing your website for search, ensures that your website is working for you. Search engines use crawlers to find web pages for their users. These crawlers may take into account a number of considerations when crawling a new website. Crawling is the discovery phase of the ranking process. For search engines, it’s not necessary that every single page is indexed. The distance from the root directory of a particular web page and links pointing to it from other pages on the site is a factor in deciding whether a page gets indexed. Then there’s the indexing phase. This is when the search engine bots process all the information on a web page to decide on inclusion. Determining factors include the words on a given web page, any media and whether the search engine can successfully process or render the whole page. The final phase is serving. This is where your website content really matters. When a user searches for something, the search algorithms will return the most relevant information from their database. Relevancy is determined by your content and if that information is the same or similar from a pool of trusted websites. For example, if John searches for “what is business marketing” and your answer to it can be cross-referenced with their pool of reputable websites, it may serve your web page to the user. Note that this is mostly from personal analysis, third party and information from Google over the years. Search engine giants like Google and Bing don’t like to share exactly how their algorithms work. So professionals analyze and run private tests to find out what is and what isn’t a ranking factor. 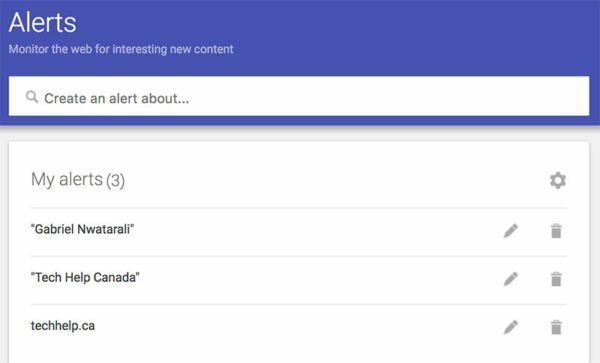 But what if you don’t want certain information to be displayed in search engine results? To avoid undesirable content from displaying in search results, you can instruct the crawlers NOT to crawl certain directories or files by using a robots.txt file. For this to work, the file must be present in the main directory of the domain. There are 3 main commands used in the robots.txt file. These are “user-agent”, “disallow” and “allow”. User-agent: This is the name of the bot that you want to apply the rules to. Disallow: The URL or directory that you would like to block. Allow: The URL or directory that you want to allow. You can also use meta-data to deliberately exclude a web page from search results. If you want your web page to be excluded from the index, place the code below between <head> and </head> in your Html or another document. This will tell the bot not to index the web page and not to follow any links on that page. However, it is worth noting that these directives are not recognized by all bots but Yahoo, Google, Bing and some others will. Many techniques can be used to increase the visibility of a website in search engines. Links are not the only way but they’re certainly still required. Apart from external links, cross-linking between pages of the same website can improve your rank in search engine results pages (SERPs) too. So how you link between pages on your website and how other websites link back to you, greatly determines how well you’ll do in search! One of the toughest parts about SEO is getting external links and this post will teach you how to do that! But first, let’s go over the basics of link building. Link building is the process used to get external web pages to link to your website. For example, a link from an established website such as “The Independent” will be more impactful than a link created on a newly developed website. Google has openly said that you can improve the rank of your website by increasing the number of high-quality sites that link to your pages. Links aren’t everything in SEO but many experts attribute link building as one of the primary factors. Furthermore, Google recently re-confirmed that it still is. As you begin to build links for your website, keep in mind that search engines like Bing and Google also analyze spam, trust and authority. There are several types of links that you can get. Let’s take a look at them quickly. They’re the links that you acquire without paying money or working for it. These are simply attracted because of the good content (value and benefit to users) that your website provides. Editorial links are perhaps the most powerful and what many experts prefer to strive for. With this as a goal, a website owner doesn’t need to ask other websites to link to his or her content because they’re naturally given. Yes, if you focus on great content, you’ll eventually start gaining naturally occurring links. These are links acquired by free link submissions, paying for it or trading links. They’re also frequently referred to as organically obtained links. These links can come from paid link farms, advertisements, directories, article distributions, blogs, comments on other websites and social media. Note that paying for links is a bad idea because it goes against most search engine guidelines. These are links that you outreach for. It’s the type of link building that you’ll often do when you’re just starting out. It involves manually contacting other website owners, creating good relationships with them and asking them to link to you. Of course, you’ll need to give them a good reason to, but more on that later. It is important that you understand how search engines use backlinks so that you can become a better link builder. Backlinking refers to incoming links from other websites. Pages with more links tend to have a higher rank in search engines. Search engines will often consider the number of links that a website has in order to determine the website’s importance, popularity and ranking. Think of links as votes. A link from website A to website B is seen as a vote from A to B. Essentially, sending signals to the search engines that this website must be good for people. Various techniques are utilized by organizations to ensure that they have a significant amount of links pointing to their website. Some of the methods they employ are free to use and require almost no experience but other techniques may involve careful planning, as well as strategy. There are several factors that determine the overall worth of a backlink. Links coming from authoritative or established websites are more valuable than links originating from newly built or non-authoritative sites. What makes a link high quality is very subjective. It is unrealistic to expect any link to be perfect. But there are some qualities that you can look for when considering a link. Search engines like links that make sense. Overall relevance is taken into consideration by their algorithms to determine if your website should be linked from that page. They’ll use the content of the web page that is linked to and the content of the site linking to it, when determining relevance. Is the website a trusted source for information? In order to determine the trustworthiness of a website, search engines use numerous factors like is it a real business, brand, site information etc. Is a link just about the signal that it sends to search engines? No, you should build backlinks to increase referral traffic too. Most of your links should also be sending you some web traffic. Aside from the obvious traffic increase, this is a prominent signal to search engines that your website is valuable and good for users! Most links that are acquired easily possess little or medium value, if any. If you can obtain it by investing very little time or effort, chances are that thousands of other people may have obtained it before you! The more websites that a web page links to can compromise the quality of your backlink. Paid links can improve the ranking of your website but they carry a large amount of risk with them. Most search engines have their guidelines stating that websites caught buying links may be penalized if it was done to manipulate their algorithms. They want you to obtain links naturally to ensure the quality of their search results. There is a strong correlation between the ranking of a website and the number of unique websites that link to it. It is better to have ten links from ten different websites than to have a hundred links from only four websites. Last but not least, the content on the website must be authentic and useful to people without over-packing keywords (keyword stuffing). Otherwise, you shouldn’t get a link from it. Use any of the following link building tactics to earn links pointing back to your site. Blogging is often used for marketing and can also be a platform for business. The difference between blogs and websites confuses many users. Part of the problem is that many businesses use both platforms. In fact, they’re both considered as websites. Blogs are updated more frequently as compared to websites. Whether it is a cooking blog or a travel one, they have new material added to them several times a week. The primary goal of a blog is user engagement. They’re often included in social media platforms to attract readers and allow users to engage with others over discussions. But how can blogs help you gain links to your website? Blogs are updated very frequently and because of this trait, they’re more likely to show up in SERPs. Why? Because the more content you publish (has to be good), the more space or real estate you take up in the result pages of search. Search engine bots tend to visit any website that is updated frequently to index it again. If your business writes great content on related or relevant topics, you can really grow your leads and backlinks. Here’s a quick example. A lawn care company can write about lawn care on their blog. Topics can include which lawn mowers work best, lawn seeds and more. This does three main things. First, since you regularly add new content, your website will be visited by search engine bots more frequently to index your web pages. Second, you’ll gain leads and increase brand awareness. Real people that are interested in your expertise now know who to call or where to go! If you have an email list, they’ll most likely subscribe. Third, webmasters or website owners that are genuinely looking for good resources to reference in their articles or social media channels will link to you. Make sharing easy so that readers or viewers are motivated enough to share your work with others. Like the name suggests, you’re going to be appealing to someone’s ego. Ego bait is when you create a piece of content (text or other) with the motive of appealing to the ego of certain individuals for recognition. Recognition is normally in the form of a share or backlink from their website. The target is usually a brand, a blogger in your niche or influencer. This strategy is mostly used in combination with other link building strategies like blogger outreach to ensure maximum traffic to the content. The content has to be somewhat of a link-bait (interesting enough to share). Such content may include surveys, case studies, interviews and crowd content. You can use this strategy to attract attention when your website is in its early stages for a nice boost. It puts you on their radar and opens new avenues for opportunities. By producing this kind of content you can get people interested in the success of your product, which usually means they’ll share your future publications. The promotion of your content by others will widen your reach, which increases the possibility that other people will also link to you. This is about finding content in your niche that is already doing well and making something even better. This is not about taking the ideas of your competitor’s content. You’ll need to have done sufficient keyword research and gathered your own keyword targets. Step 1: Find content that is already working! The first step is to find relevant web content with your target keyword that preferably have lots of backlinks. For instance, if you wanted to rank for “hiking in Gatineau”, then you need to search for it in Google and see which web pages are already ranking for it. You’ll also need to search for it in different variations such as “Gatineau hiking”, “hiking places Gatineau” etc. Only consider web pages with the largest shares, views and incoming links. Analyze all the content and pick apart their weaknesses. Read and take notes for your TOC (table of contents). Place all the websites in a list for later reference. Step 2: Create something even better! Using the results of your analysis, create something better. At this point, you won’t even have to start from scratch because you should already have a sound knowledge of the topic. Why? Because you just spent hours reading those top-performing publications. With a little creativity, you can revamp the entire content into something better for people. This is very similar to Samsung and Apple. These giants are always creating better smartphones to stay relevant. For example, if you notice a page about 50 healthy food recipes. You can write about 150 healthy food recipes. Equally, if you notice a piece of content is boring, you can write one that isn’t. Don’t wait for readers to come, promote your content! Progress may seem slow at first but the goal is to get as many qualified eyes on your content as possible. If you get enough initial views, your content could go viral very quickly. Target your audience through various platforms such as social media for greater chances of success. However, there is one thing that you should keep in mind. Never “copy” the content of other websites. You should only use them as a reference for ideas, not for copying. Nobody wants to pay attention to a “copy cat”. You can repeat this technique periodically from time to time. Perhaps, you can use this technique to create super amazing content every three or four months. Spacing out this kind of publication can help you target topics more easily and effectively. Adding coupon codes to your website can be a real game changer. This technique never gets old, seriously! Offering discounts on your products through email outreach or other strategies can attract a lot of customers. People always love discounts or anything that they think will benefit them. So how does this help you build backlinks? There are many websites online like retailmenot.com that are dedicated to providing consumers with discounts. These websites allow you to submit coupons. You just have to submit a worthwhile coupon and everyone wins. Their users enjoy the discounted pricing, you get more customers buying from you and a backlink from the coupon site. But they’re other benefits involved in using this strategy. You can use coupons to reward existing customers or use email outreach to target users who have been active for a few months. This can make them feel appreciated, broaden your loyalty base and if you ask them to share it with others, they just might do so. But how do you get people to share your coupon and get links from it? Make a big deal about your coupon and create a landing page for it. Share the coupon page with people via email and invite them to share the link with others. You may get some good links and shares from it. The use of coupons encourages awareness amongst people that are interested in your products. Even if they don’t use the offer, your brand name will be remembered. This is assuming that you have a good brand logo and overall brand image. They’ll think of you whenever they or someone else needs a product that you offer. The idea of adding coupons to your business for marketing isn’t new and backlinks should be seen as only an added benefit. However, you should never overdo this technique because when used in excess, it can give a negative impression. Webmasters or website owners are busy people. If you can find a broken link on their website and let them know about it, they’ll be grateful. After all, It helps them improve their website because too many broken links can mean old and outdated to search engines. This strategy has been around for years. Success here is directly related to how much time you want to invest in doing good things for the web. You’ll only gain links if you create good and appealing content to replace the one that is broken. The first step is to find relevant dead pages and here’s how to do it. This is about searching for keywords that are relevant to your website. You’ll find resources that link back to content that is related to your keywords. Once you identify web pages, you should qualify them for relevance with your content. To be very effective, you’ll need to find pages with lots of outbound links. The more links on a web page will increase the likelihood that some of them will be broken. Scan the web pages for broken links with a free online broken link checker like brokenlinkcheck.com or do it Ninja style by installing this Check My Links browser plugin for Chrome. With this plugin, you can easily check an entire website or specific web page for broken links on the go. Pick a broken link from what you find and contact the Webmaster with a good, relevant replacement. Let the webmaster know that you found a broken link on their website and you thought they should know about it. Then offer your content as a replacement. Your content must be great or attractive enough that the webmaster will want to link to it. You can literally target potential customers with this technique. Think of one or two things that would qualify someone as an ideal customer of your product. Then search for those things! How valuable would it be if you got a link from an ideal customer’s website? It is surely a good relationship starter and can pave the way for them to become familiar with your products. How relevant will it be to search engines? Very relevant! If you sell shoes and many of your backlinks are from shoe enthusiasts, they’ll see your website as more relevant. Even if your competitors have more links than you, if most of them are from unrelated sites, you’ll still have the advantage. When your business or website is just getting started, working with other bloggers may seem like an intimidating task but most things in marketing are. It takes a lot of time to find authoritative bloggers and even more time to build strong relationships with them. 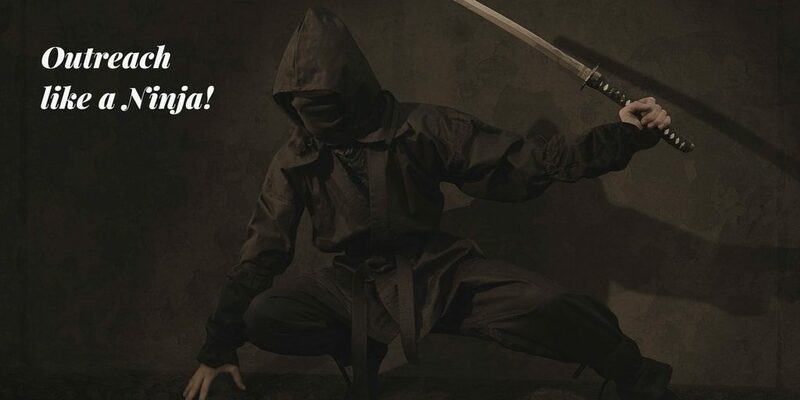 With that said, you can significantly speed up and even automate your entire outreach process with Ninja Outreach. Here are three ways that you can work with bloggers! When you work with other bloggers, you’re increasing brand familiarity and engagement, which leads to more customers. It’s not just about links but they are part of why you’re doing this kind of promotion. So whether it is a nofollow or dofollow link, it shouldn’t matter. That being noted, by contributing awesome content to their website, you’ll gain exposure. They’ll usually share the content to their permissions list (email list) and social media pages. If a blogger agrees to feature your article or allow you to contribute content to their blog, you’ll almost always get a link. Even if it’s a brand name mention like “Tech Help Canada” for instance, it’s worth doing it! You can ask a blogger to do a product or website review. You can provide them with a sample of your product or service and encourage them to post an honest review. This review is normally in the form of a video on YouTube or text on a web page. You’ll get a link back to your website. These reviews will send you more traffic and affect your brand’s reputation in a positive way. If you already have a great piece of content that you would like to share, you can be direct. Your content better be awesome for this to work! First, you’ll want to read their latest post. Then contact the webmaster, let them know that you had visited their website and compliment them on their latest post. Introduce your content and let them know that you thought they would be interested in it. Invite them to leave their feedback. Some of them will reply and many others will just read or view your content. The ones that reply to you are your link opportunities. Your goal is to find a web page on their website that your content can add value to. For example, if John has an article about car insurance and you have an article about 100 cheapest car insurance companies, you can add value to his article. I really enjoyed your post on [ARTICLE YOU READ] and thought you might also like my recent publication on [NAME OF YOUR ARTICLE]. Normally, if your article is great, they’ll let you know that it is. I also found [WEB PAGE DETAILS] on your site and thought a mention of my article could add some value to it. Let me know what you think. I would really appreciate it. This is a win-win situation. You get more eyeballs on your content and the opportunity to get links by asking. Be direct with your intentions and never try to hide it. People are more likely to respect someone that is direct. Directories are often associated with a bad reputation because they can be very easy to spam. However, not all directories are bad and many of them still have a business benefit. Find niche specific directories and join them. These directories are focused on a specific industry. They’ll usually have fewer outbound links and pass more authority to the sites listed in them. These directories also get a significant amount of traffic and can send a good amount of referral traffic. Keep in mind that since Google doesn’t encourage the use of directories, it’s a good idea to keep this number low. About 10 to 20 good web directories may give you the boost that you need to climb to the top. To find directories, you should search for them on your own. Spend the time necessary to find them with keywords that you care about. Don’t be tempted to search for a pre-made list. Many directory lists are outdated and if the directory is in a list, it’s probably filled with too many outbound links. For added insurance, check the number of indexed pages in Google by typing “site:yourname.com” into the search box. If the number of indexed pages is high enough and makes sense for the size of the directory, it’s likely a good candidate. Why? Because we know that Google and Bing won’t index web pages unless they’re useful. There are still many general directories that pass good ‘link juice’. The general rule is that if it’s easy to get in, then you probably don’t want a link from it. Great directories usually have human editors or reviewers and you have to pay for their time. After all, they’re a business too! So it’s not uncommon for some organizations to charge you a review fee to look at your site for inclusion consideration. But try to avoid website directories that are clearly accepting every single site with no clear review process. These are probably spammed to hell and the link value is reduced significantly. One great directory is BOTW (or Best of The Web). They’ve got a tight assessment procedure and never list crappy or worthless websites. There’s a fee for reviewing a site but it’s well worth it because you’ll get an SEO boost for sure. Just one caveat: if you use them, make sure that you get the lifetime listing! Like the name implies, resource pages are pages that link out to good content. Find resource pages and ask the webmaster for a link! Your content has to fit the web page and the website should be worth getting a link from. Revisit subheading “identifying high-quality links” for reference. We know that a brand mention by itself is a ranking factor. You can double the benefit by getting a link back to your website. If you find that your business name, website or name is mentioned in an article, you can email the author or webmaster for a link. Be polite and of course read the publication so that you’re in a position to have discussions about it. Complementing the author and telling them why you liked their work, greatly increases your chances of getting a link. Remember that it’s a choice that they’ll have to make, not yours. They also have the right to say no and that’s ok. If you publish a lot of great graphics or images, you can use them to get links. In the web, people will often use your images without attribution (credit to the owner) but it’s good news for you! Similar to brand mentions, a short and friendly email to the site owner for attribution is all you need. You can find all your image assets by searching for them in Google images. Just search for the exact image file name. Additionally, if you embedded permanent captions to your images (compatible with .jpg files), you can find them that way too. But how do you add permanent captions? Refer to this resource from PC World: How to Add Permanent Captions to Your Photos. This is a tough one, especially if you’re just starting out! The idea here is to get interviewed by other professionals in your niche or by other companies that may be interested in your knowledge. When you’re just starting out, no one is really going to ask you for an interview, so you’re going to have to outreach for the opportunities. In many cases, you can simply pay your way in, seriously! Many podcast and interview hosts in your niche will charge you for their time unless they’re seeking you out. It’s a good idea to start with webmasters that you’ve already created relationships with but this is not absolutely necessary. It’s also a good idea to contact smaller websites because they’re more likely to say “yes” to an interview. These websites are usually looking for exposure too, so it can be mutually beneficial for both of you. Sign up for HARO (help a reporter out). This is a service that connects journalists to experts. Reporters are always looking to make their jobs easier and you may just be able to help them. You can get an interview through HARO if you spend the time to create a good pitch. Make sure that you signup for more details on the service. There are websites out there that gather links to awesome content and share them on their websites and email list. You just have to find them. They’ll usually have titles that start with “best of” or weekly “content roundup”. Once you find one, contact the webmaster or site owner and introduce your content for inclusion. One great example of these sorts of pages is The best of the best resources on inbound marketing. Content marketing is a type of marketing that utilizes content effectively to attract qualified customers and leads. It involves the creation and promotion of content such as videos, blog posts, email content, social media posts and more. Content marketing is similar to SEO because it is also a long-term strategy. The average content marketing campaign can take between 9 and 18 months for effective results! The goal of this kind of marketing is to establish a clearly defined audience that you can market products to. As professionals or DIY business owners, content marketing is at the forefront of our entire strategy. Without good content, great web design and good site architecture, there’s no point of doing any optimization for search. So how do you use content marketing effectively to gain links? If you can anticipate and meet your target audience need for information, you’ll gain many naturally occurring links and leads. Good link builder’s focus on content. We don’t mean fresh content, we mean amazing content that you promote and improve over time. Yes, fresh content can bring the search engine bots back more often but if no one is interacting with your content, you’re back to square one. Content marketing is part of SEO. We identify the needs of consumers (keyword research) and meet them while at the same time, meeting the business needs (leads and conversions). Find that sweet spot where the consumer and business are happy. Your goal is not to create a need but to identify one. Effective content creators know the types of content that work best. There are many content types and you should know the best ones. When you’re familiar with the content types that users interact with the most, you’ll attract backlinks a lot quicker. Manually building links by begging for it or submitting them can get old really fast. It’s far better to let your content do the work! Once you have enough authority, your content should start attracting most of your links. If it’s not doing that, then it’s either not good enough or you’re not making it easy for people to share your work. Let’s look at some top performing content types. These are normally vertical and long images with valuable information that may include charts, statistics and graphs. They are generally useful. You can hire graphic designers to make one or do it yourself. While infographics certainly have their uses, it is worth noting that this kind of content is overly used to build links. The point is that if everyone is doing it, you probably don’t want to do it and if you do, do it differently! They’re great for business exposure and connecting with potential customers. Podcasts are usually free but many of them contain advertisements. Podcasts are literally audio presentations or discussions that invite the listeners to participate in further discussions in the form of questions. You can ask your listeners to send an email with their questions or leave a live comment. Comments can also be left on a web page that you provide. The goal is to engage, pass value and then introduce your brand or product. Submit your content to podcast directories for more exposure and links. Making interactive videos related to your niche on platforms like YouTube will attract new customers, increase your exposure and the likelihood that your content goes viral. The possibilities with this type of content are almost endless! Do you own an online store? You can create product reviews or test products live on video. You can create tutorials or share useful information for brand awareness. Submit your videos to YouTube, Vimeo and other video platforms for exposure. You’ll also get a link. Pro tip: If your videos feature good discussions, you can extract the audio and turn them into podcasts. Memes are funny, likable and the Internet is filled with them! Memes remain a very effective way to make your audience laugh. You’ll have to be somewhat of a comedian to create really good memes. And if you’re not, outsource the work to someone that can do it. You can submit your memes to places like GIPHY and share them on social media. Most sites will give you a link back to your site. Just like it sounds, it’s a review of a book or multiple books that you like. You can spin this into ego bait as well to target the book authors. Book reviews can set you up as a thought leader in your industry but it depends on the approach that you use. If you can review new releases and pre-releases, you may become the person that readers go to before they make purchases. This can trigger lots of shares, which can lead to natural editorial links. How-to is arguably the most popular type of content. These are useful information that teaches the user how to do a specific thing or a series of things. You can target many long tail keywords with how-to guides. This link building guide is a how-to guide. Lists are great and you’ve probably read a lot of list content on the web before. Un-numbered list items like The Best Social Media Management Tools or numbered list items like Top 10 Entrepreneurial Skills That You Should Have. People love lists because they’re easier to digest than most content types. They’re awesome references and many people tend to bookmark them or reference them in their own articles. Research data is powerful but original research data is even more powerful! You can gather research data from numerous places or conduct your own research. For example, you can go to a coffee shop, monitor it for two weeks to pinpoint the busiest times of the day, then make your findings public. Coffee enthusiasts and shop owners may find this data useful, which can lead to links. Do you know something in your industry that you dislike? Rant about it! This can be done in the form of a blog post, video or audio. Rants are heavily opinionated and knowledgeable content that challenge the status quo. The more unconventional the rant, the more likely it will attract links and shares. Now that you have a great piece of content, don’t wait, start building links with it. You’re going to need some links to help that content rank! Building links through email outreach campaigns can be a time consuming and lengthy process but it works. We discussed some of this in “outreaching to bloggers for promotion”, so we won’t dive too deep into it. The general idea is that you email different webmasters or website owners and inform them about your content. You can create a mutual linking partnership or politely ask them to share your content. For optimal result, make sure that your content is useful. All this talk about “great content” and we haven’t really defined what it means. What will the reader or viewer get out of this? Will this make them a better version of themselves? Do they have to keep browsing the Internet or did your content give them all the answers? For example, this guide is all you should need to start building links for your website. The author doesn’t expect you to look any further after reading this. With this information, you can also come up with your own ideas for gaining links. Is your content better than what is already ranking #1? You should always strive to make your content better. One way to do this is to outsource the content to a ghost writer, then with your expertise, improve the finished product. Link building is super time consuming so you’ll need all the help you can get. Outsourcing the majority of your content can greatly increase your chances of success. Think of it as having a team that helps you with some of your writing so that you can focus on what really matters, which is the promotion. How easy is it for the user to digest your content? Is your content in a list? Is it downloadable in PDF? Will the user know how long it will take to read? 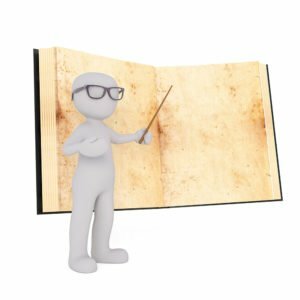 Is it useful or mostly words on a page? Depending on the format and type of content, you may need to ask yourself these questions and more. Are you being authentic? This means that you’re honestly conducting research and adding your own thoughts, findings, including ideas to your content. Think of science or technology where almost every scientist or engineer is attempting to improve on everything that is already out there. Will your content stand the test of time? Your content should have an estimated life cycle before an update is needed. It should be updatable and you need to have an idea of when you’ll need to update that content. It should be something that’ll continue to provide value to its readers or viewers for years. In short, your content should be worth linking to before you email anyone about it or ask for a link. Social media is the perfect platform and place to build relationships online. These relationships will help you build links in the future. Social media is also the best place to gain more readers. Twitter is especially great for this because it makes content discovery easier than most platforms. When using social media, your goal shouldn’t be “likes” but they’re nice to have. Your goals should be shares and traffic. Use a URL shortener like Goo.gl or ow.ly to track link clicks from social media. Keep a good balance between sharing other content and your content for best results. Other content can provide social proof to potential customers that are still on the fence. If you say something is important and 3 other people say the same thing, then it must be true. Here’s a list of the top social media sites. Market your publications in forums that you participate in. There’s a lot of debate between SEO’s whether forum link building is still relevant today. While many may disagree, it’s still alive and well if you do it right. #2 may take some time but it’s worth it. Generally, it’s a good idea to have 1 to 5 forums that you regularly participate in. These forums can be used to create connections and share your content with like-minded folks. You learn, grow and create multiple backlinks to your site over time. While you can search for forums online, you should ask your customers and connections for what they use regularly. To make the most out of forums as a tool for content marketing, you should keep the following things in mind. Once you identify potential forums, set up your professional profile. Since seniority is essential in the mechanics of these platforms, try participating in hot discussions to increase your rank. After helping the community on different issues, you can start sharing your stuff too. Many forums will allow you to share a link in your description. It is important that you keep participating in the community so your profile is seen by as many people, as possible. The referral traffic that you’ll get from the forum will make the link more valuable. It’s not surprising that press release distribution is one of the most effective ways of building strong external links. Like all things link building, try not to over do this! Many press release directories allow you to include a link to your website in the company bio or body content. While free press release (PR) directories have their uses, it is better to use an affordable paid service like PR web. Depending on your budget, you may only be eligible for a mention like “https://www.techhelp.ca” without being clickable. This is really good too! In fact, a mention of your link is similar to brand mentions like “Tech Help Canada” on a web page, which is really powerful for SEO. You shouldn’t waste your time on low-quality press release sites, aim for the authoritative ones. Getting a backlink from a .edu website is a treasure for any web page. Why? This is because search engines place more weight on these links, in terms of trust. Because they trust .edu links more, they place more value on them. So why are .edu sites so trusted? One can only imagine that since .edu registrations are limited to U.S. postsecondary institutions and institutional accreditation is a requirement for eligibility, it makes sense. Remember that links are votes. If an accredited educational institution gives you a thumbs up, then you must be good for users, which is exactly what search engines want. All right, up next is awesome .edu link getting ideas. While success in this area is not guaranteed, the following tips can help. Offer discounts to the students and faculty staffs. They might just feature you on their website. Voluntarily contribute resources to the university or college library. If you have the budget, provide a scholarship program to the students. Create an apprentice program and email professors that teach the courses about it! Participate in seminars that are relevant to your niche and provide effective insights regarding those topics. You can get really creative with this. In fact, to become an effective link builder, you’ll need some creativity. What can you do that will provide value to the school or institution? Is this thing enough to get featured on their website? Using one of the tips mentioned above, let’s assume that you created an apprenticeship program. You then emailed all the qualified professors on your list. Normally, a professor has tons of students and it’ll be painful to give the details to every one of his students, class by class, wouldn’t it? So at this point, the best idea for him or her may be to share the link on their faculty website. Link building is creative but to do it right, you need to know what not to do, which brings us to our next section. To Avoid or Not to Avoid Black Hat! “Black Hat” is using methods to build links that go against search engine guidelines or policies. Black hat link building is great until you get caught! Avoiding it is a choice that you’ll have to make. On an on-page and off-page level, here’s a list of techniques to avoid that are considered black hat. At first, you may increase your traffic with these but it’s temporary at best. If you’re caught, you can lose your search traffic or worse, banned from a search engine like Google or Bing. Google Webmaster Guidelines is a recommended read if you want to avoid penalties. SEO is the process of helping search engines understand web pages. Link building is the process of building backlinks to a website. Without traffic, your website is nothing more than a glorified business card. With traffic, your website becomes an integral part of your business. There are many different ways to build links but not all of them are safe. Remember that there are three parties involved and you should meet the sweet spot for all three. You want more visitors, the search engines want good content to show their users and the user wants to solve a problem. This idea is not limited to search engines but to social media platforms too. Facebook, Twitter, LinkedIn and others, all want to show their users something great. You may even call it an unspoken partnership. Remember all three parties that are involved and you’ll be successful! Everything that you do on the web will continue to benefit you for years, creating a compounding effect. 12 publications in your first year become 24 next year. Meanwhile, whatever you did in the past continues to grow in traffic and authority. Avoid black hat link building techniques but study them. You should know the bad and the good to create a perfect balance in strategies.